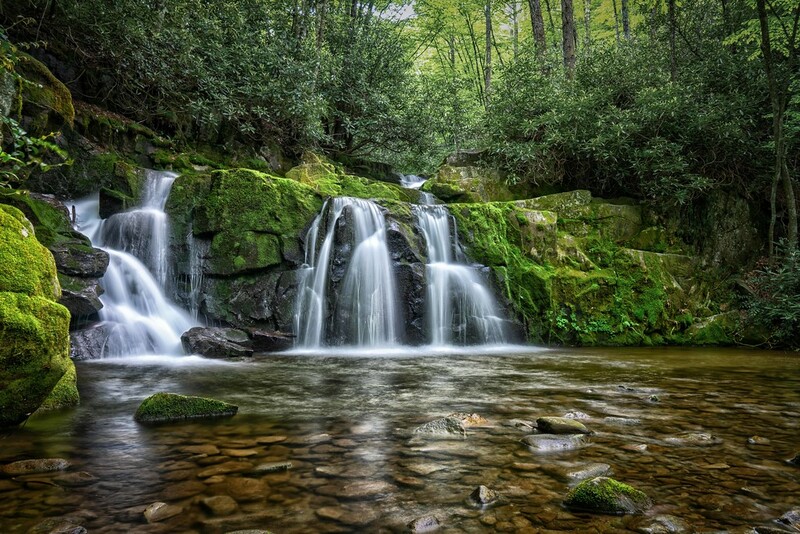 Indian Flats Falls (Great Smoky Mountain National Park) | Just Shooting Memories! from completing our trip. Maybe one day, we will go back. That brings me to Indian Flats Falls. I have never been fly fishing, so one of my brothers asked if I would go this summer. Of course, the answer was Yes. We planned a several day hike and fishing trip near Tremont in the Great Smoky Mountain National Park with a night hike from Elkmont back to our campsite after watching the synchronized fireflies. Unfortunately, a bear decided it was going to block our way to the first night’s campsite and we walked several miles back out of the park at night. That was not before I spent a little quality time at Indian Flats Falls.